If you have always wanted a pet, but your parents have never let you … this is the book for you. Because, inside the pages of this book, your new cat awaits. Isn’t he sweet? Just look at him twitch his tiny nose! As a pet-owner, it’s your job to wake him up (call out his name), softly stroke his back (with your finger) and shelter him from the rain (your hand makes a great umbrella!). It’s quite hard work – phew! – but it’s so much fun. 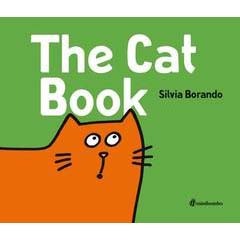 From minibombo, the creators of The White Book and Black Cat, White Cat comes a playful picture book that cleverly encourages you to interact with the physicality of the page itself, and a book that will, with the help of your imagination, bring a purr-y, fluffy cat to life. Miaow!